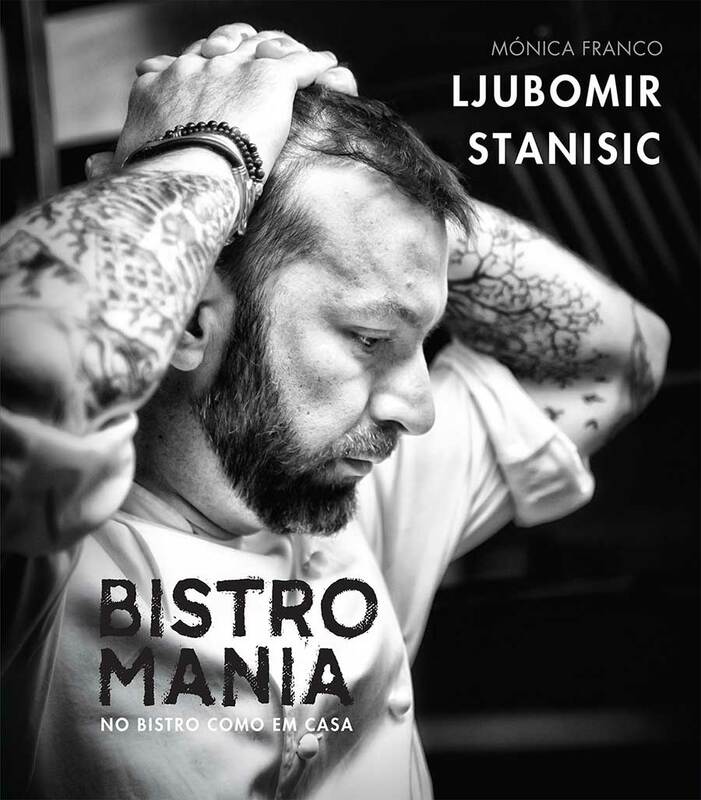 Chef Ljubomir Stanisic signs a new book. Bistromania – No Bistro Como em Casa, is published by Grupo Leya / Casa das Letras, on September 18th. At the same time that the chef of Pesadelo na Cozinha (the Portuguese version of Kitchen Nightmares) returns to television, his fifth book arrives at bookstores – the fourth written in a special partnership with his wife, journalist Mónica Franco. Bistromania is a book, but it is also a life story. It’s about a restaurant, Bistro 100 Maneiras, which completes 8 years on September 22nd, but it’s mainly a personal object that makes us feel at home. The chef’s house turned ours in a minute. Bistromania is not a cookbook, but in its 300 pages it compiles more than 100 food and cocktail recipes, to reproduce at home and make Bistro our home – and make our home a Bistro. The project of Portugal’s most feared chef has many other people inside. It’s about a restaurant, but it also talks about art and music, people who mark us every day, friends. It is the result of serious work, but, above all, it intends to provoke smiles. There are stories from behind the scenes, told by those who live them every day, in the action of restaurant. It has 100 Commandments, although it doesn’t want to command anything, a “Greeting to Ljubomir” written by Jose Quitério, one of the great names (and specialists) of the national gastronomy.